OLD PARKED CARS. 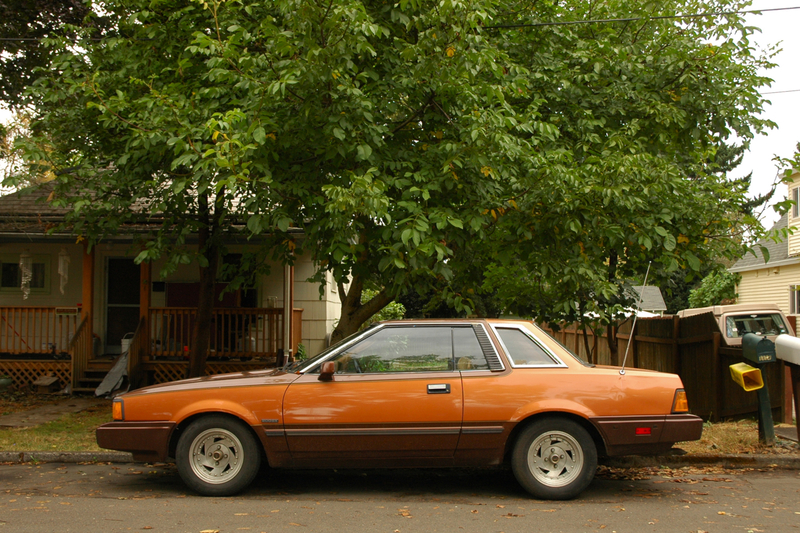 : 1982 Datsun 200sx Coupe. Kinda like the mags on this ride. Beautiful car! Most of these car sadly aren't in the best shape. What a treat this is! i had one of this..had a lot of fun in it. Great two tone, those wheels actually look pretty good on it. what a strange japanese car. the styling looks like a combination of the blandest elements of the fox-body mustang and the beloved k-car. is there a japanese car that looks more american than this? and if you owned it, would you pay to respray it? 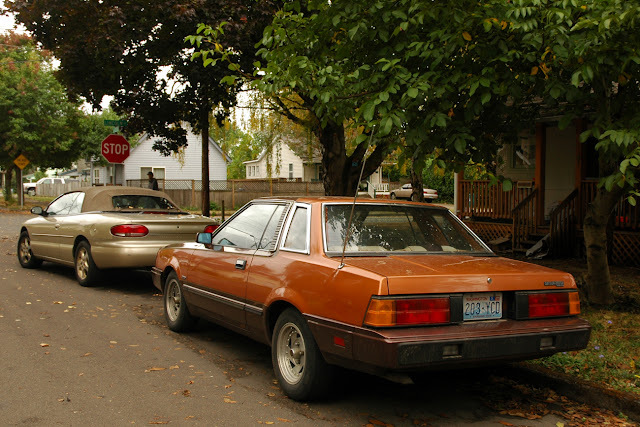 That rust-orange color was pretty popular in the '80s - don't remember two-tone as much, though. These remind me of the Fox-bodied Thunderbirds of the era. Interesting design nonetheless. 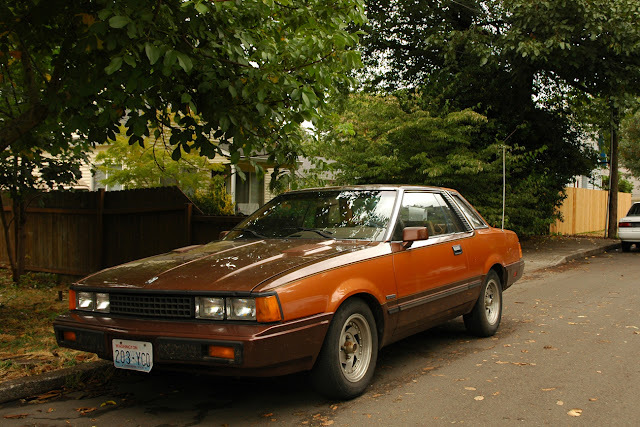 @Tony, the X6 Cressida looked terribly American, all of the neato JDM-ness sucked out of it by the old man spec grille and mandated safety bumpers. This 2 tone combo looks pretty bitching. with these wheels the car screams 90's high school parking lot pot dealer/ne'er-do-well. acid wash jeans and a matching denim jacket with an Axl Rose bandana. the type of guy you'd chase out of your daughter's 2nd story window with your trusty Mossberg in hand. You are sooo close to describing my time in the 90's 'cept my 200sx was white with blue interior.